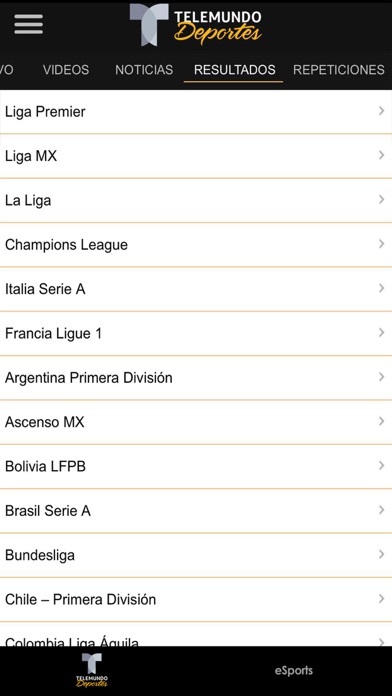 Follow the world’s biggest events and most important soccer matches by downloading the Telemundo Deportes app! You’ll be able to experience live stats with a robust data overlay experience while watching all matches. 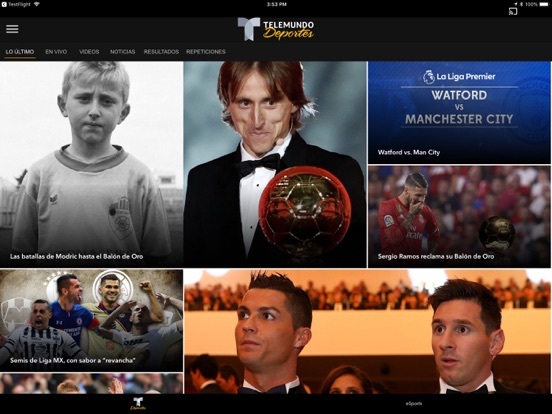 Enjoy thousands of exclusive videos including every goal, highlights, key moments, interviews, analysis and much more! 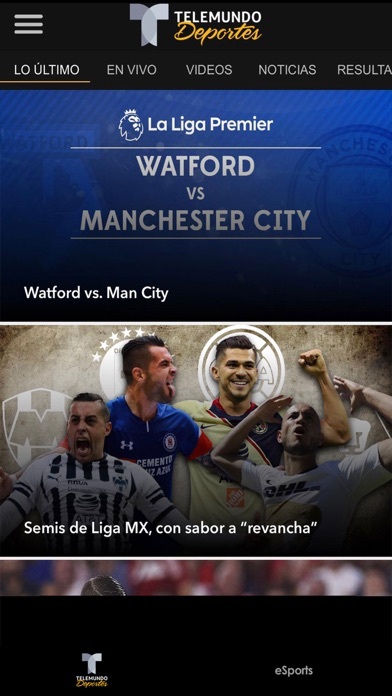 Download the Telemundo Deportes app now! 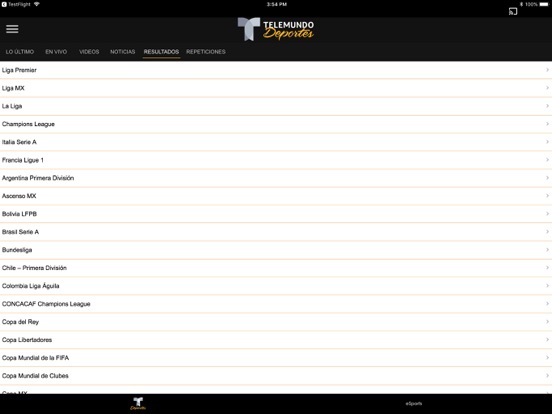 Telemundo Deportes video is only accessible in the USA and certain U.S. territories. 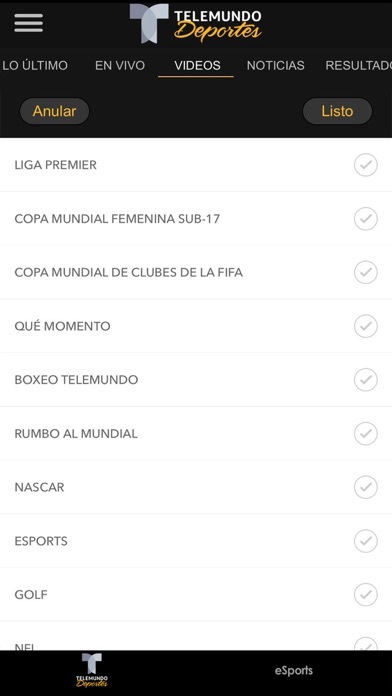 The application requires a 3G, 4G, LTE or WiFi network data connection. Watching video over a 3G or 4G connection may affect your wireless data plan. Data charges may apply. iPads that support Retina display can experience HD quality video at up to 1080p. 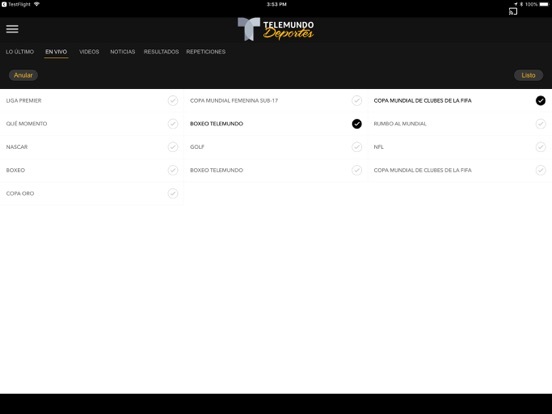 The video quality will adapt based on your data connection. 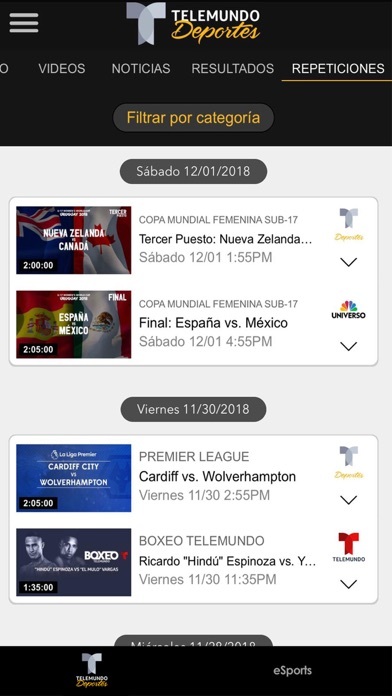 Access to the Telemundo Deportes app’s live video is determined by your TV provider and package and, in some instances, your Internet service provider. 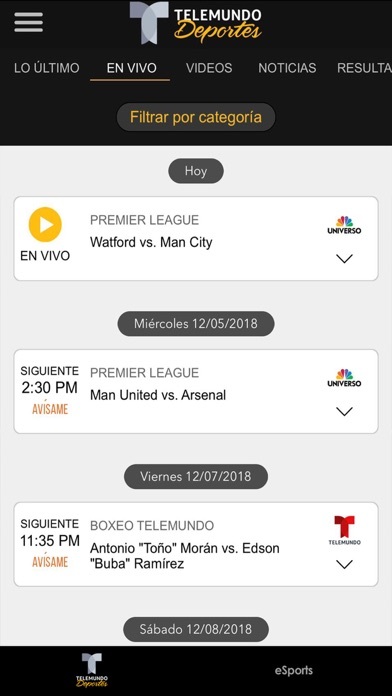 The providers below currently offer access to Telemundo Deportes live video: *AT&T U-verse *Cablevision *Charter *Comcast XFINITY *Cox *DirecTV *DISH *Optimum *Time Warner Cable *Verizon FiOS TV Plus many more providers.